Worx Universal Leaf Collection System Just $19.99! Down From $50! You are here: Home / Great Deals / Worx Universal Leaf Collection System Just $19.99! Down From $50! 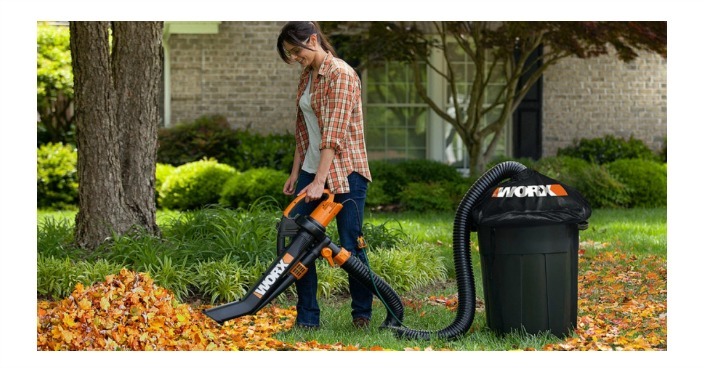 Worx Universal Leaf Collection System Just $19.99! Down From $50!! Sears has this Worx Universal Leaf Collection System for just $19.99! Hook up the Universal LeafPro Collection System to your cordless, gas or electric blower, and you’ll have your fall cleanup done in no time. Instead of bagging leaves, you just vacuum them up and into the 32- to 55-gallon round trashcan of your choice. With the LeafPro ventilated leaf collection system you get multiple adapters so you can find the one that works with your blower. This direct-to-can system of collecting leaves means you don’t have to touch the leaves. Just vacuum them into your trashcan and roll it to the curb for pickup.